Review: The pilot for Epix’s new DC series Pennyworth looks to offer a retro-criminal, R-rated take on the early adventures of the man who will become Batman’s closest confidante. 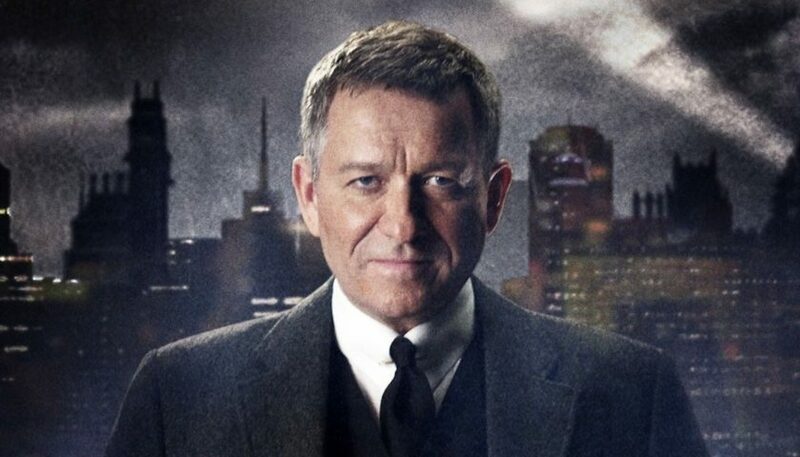 Production began on the new series earlier this year under executive producer Bruno Heller, who has more than a little experience with the caped crusader’s deeper mythology over on Gotham. Following in DC’s tradition of prequel series like Gotham and Krypton, Pennyworth examines Alfred’s life as a young veteran in the UK long before he came to serve as the Wayne family’s butler. Over the years the comics and films have hinted at the genteel steward’s dynamic history, whether it was Michael Caine in The Dark Knight describing his time as a mercenary in Burma or a Detective Comics story about his freelance work for the British intelligence agency MI7. For this time out, Heller and company have tapped actor Jack Bannon for the lead role, along with Paloma Faith and Jason Flemyng as villains Bet Sykes and Lord Harwood. Over on Splash Report, Austin Chavez has offered up a positive review for and plenty of details on Pennyworth’s pilot. According to his description, the series will take place in a darkly stylish mix of postwar and 1960s Great Britain. Trying to stay out of trouble after his military service, Alfred’s bouncing for a nightclub and getting mixed up with an organized crime group called the Raven Society, and a wealthy American expatriate by the name of Thomas Wayne. The Ravens, Harwood, and Sykes all want Wayne, and after connecting him to Alfred, they’re perfectly willing to threaten those closest to Alfred to get to him, forcing the one-time soldier to put his more dangerous skills to good use. Chavez goes on to praise the cast, especially Bannon as the conflicted center of the series and Faith as the creepy enforcer Sykes. From the sound of it, this series won’t hold back from the TV-MA material, with plenty of violence and a few surprise twists, which often means that somebody’s not likely to make it out of the first episode. The only real criticism leveled at the pilot comes from some dialogue and pacing miscues, but those don’t seem to be holding back a strong debut.